Our reporter Abby Wilson headed to Oasis, Cardiff to watch and review their production of The Island. Last Friday evening I was lucky enough to get myself a ticket (only £5) to see The Island, a play written by Athol Fugard, Joh Kani, and Winston Ntshona. Upon hearing the play’s title, I hadn’t actually heard of it, and didn’t realise it was quite a famous and successful production. As such, I wasn’t entirely sure what to expect, and when I sat myself down on the small, primary-school-like chairs in the tight hall, I was intrigued. 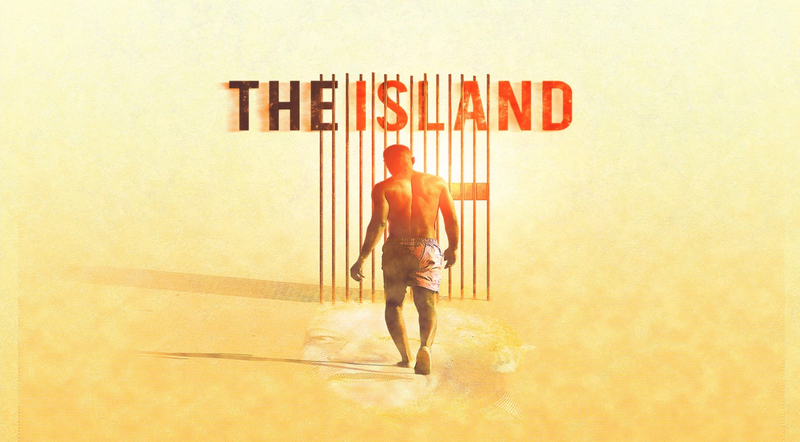 With a small, simple stage, a two-man cast, and sparse props, The Island follows a story of two men, political prisoners and unlikely friends, following their back-breaking labour, viscous beatings from guards, and nights spent reminiscing their life outside of the prison cell. The play explores the friendship of characters John and Winston, as they prepare for a performance of Antigone, in front of other inmates and prison guards. An apartheid-era drama, The Island is based on South Africa’s notorious Robben Island, where Nelson Mandela was incarcerated for twenty-seven years. Although a small cast, they were definitely big with talent. Their acting was brilliant, and they were both excellent at projecting their voices and portraying clear characters. They both worked extremely well together, complimenting each other perfectly. The use of music was fitting, adding depth and atmosphere to the situations and the intimate setting was the perfect venue. This politically visceral piece of theatre has been seen around Wales over October and November, in Powys Dance, Newport, Ffwrnes, Chapter, The Lowry, Blackwood, and Oasis Cardiff being the last show. The Island was supported by The Night Out Project/Arts Council Wales, Creu Cymru and was sponsored by Welsh Government via Cardiff Fusion. It was hosted at Oasis Cardiff, a charity raising funds for refugees and asylum seekers, with all funds raised going to the charity. Fio Cardiff, a theatre company in Wales producing “fearless theatre” that “tears down stereotypes and challenges injustice”, also hosted. Such “fearless theatre” was definitely achieved through The Island, as it powerfully attacked our ability as citizens to passively accept immoral laws. Wela Mbusi, one of The Island actors said, “The Island is a story about friendship, about growing with a friend and about love”. Joe Shire, other cast member reinforced that, “The Island is a play about two men and their struggle to survive as political prisoners on an island prison”. The Island was a tremendously moving piece of theatre that explored themes of resistance, power and dignity, in a politically brutal, but honest manner.